Inspired by Founder Amy Li’s stage IV cancer journey. 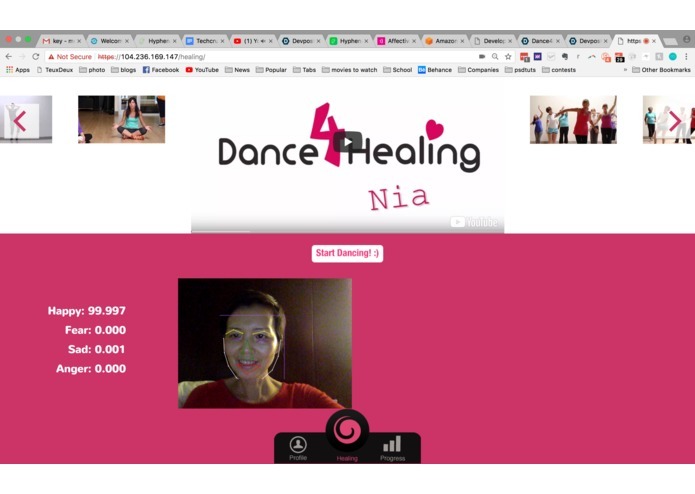 Dance4Healing is a behavior centered, cross-generational tele-exercise live video platform bringing exercise, emotional support and fun to assisted living and independent seniors. We have an online platform that allows seniors to dance live with their buddies from anywhere around the world, as well as provide immersive 360 degree dance videos to increase engagement. We will use virtual computer vision to track real time emotion and use artificial intelligence for sentiment analysis to provide and personalized dance buddy recommendations based music, dance and many other interests. We also use feedback from user monitoring to record individual progress. Patients like me are often trapped in home, suburbia, isolated and lonely, not only challenged with physical fatigue from aging, disease and treatment; but often depression and stress, which impacted 77% of American physically, and 73% psychologically according to American Psychology Association. 60-90% of doctor visits are due to stress. 45% of seniors, 62% of teenagers feel lonely, which is more damaging than smoking 15 cigarettes a day. Behavior change is difficult in healthcare, even more so in this isolated environment. 10,000 American turn 65 daily, many more worldwide. 80% of older adults have at least one chronic disease, and 68% have at least two. Heart disease, cancer, and stroke are the leading causes of death among the elderly. If no action is taken, our economy may collapse due to higher medical cost and lower spending habits in aging population. Research says Creative Arts Therapy improves quality of life by 50% and reduces pain by 59% for cancer patients! (78% over 55) Dance reduces the risk of dementia by 76% (Alzheimer’s cost $1 in $5 now, and $1 in $3 by 2050 in Medicare), cardiovascular death by 47% (1 in 3 death). 90% of elders prefer to age at home. If we can provide more “aging-in-place” technology solution to bring creative arts therapy, exercise, and more importantly community support to home. We will ensure a more healthy aging community and more stable economic worldwide. We built it with Hapi.js, Node.js, WebRTC, Flickity.js, Tracking.js, Jcanvas, Websockets, YouTube, and plan on using Microsoft Azure Emotion API, Intel Nervana Computation Cloud, and Unity. No computer scientists on our team so we had to do a lot of research and self-learning! Had to think about how to define our solution in a simple way. Extensive user’s needs and market research, development of a thorough business plan, strategic initiative to target both senior and teenager. We need an engineer to implement our solutions. 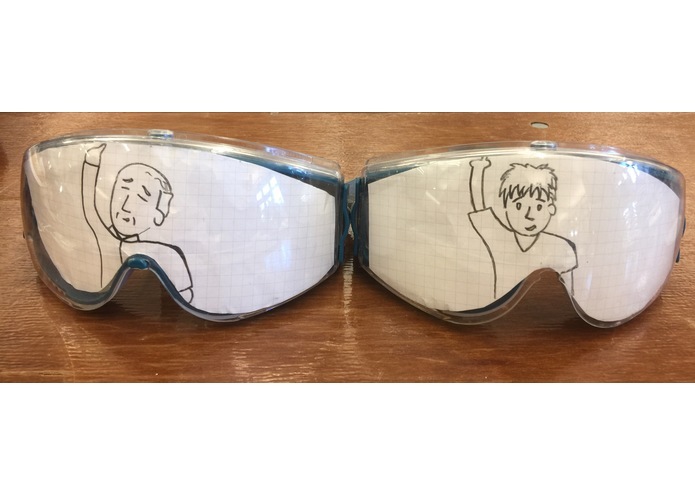 We tried to focus on defining user’s needs. Our team needed to be resourceful in our research and framing of the situation since their are no clear competitors in the space. We also learned how important it is to collaborate each other in the team. We want to collaborate with software engineers to develop prototype of the VR and AI functions for our product.